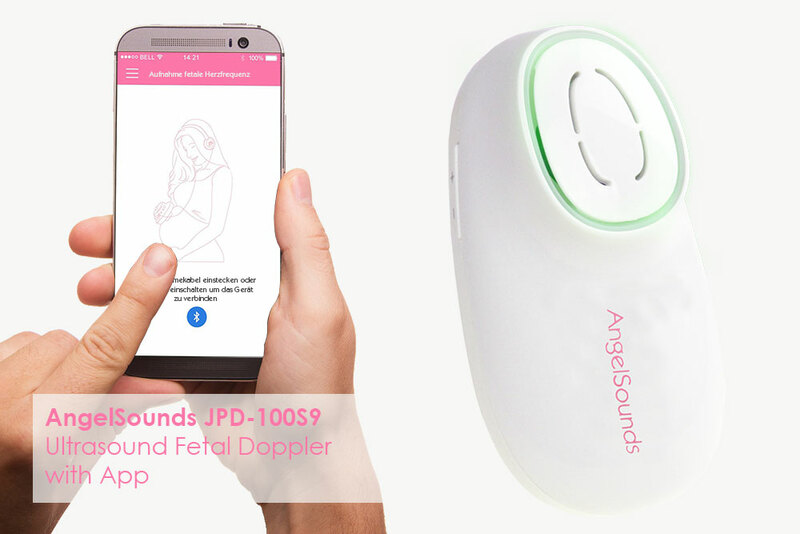 Intensify the miracle of pregnancy even more– with our AngelSounds Fetal Doppler you will detect your baby’s first consciously perceivable sounds. Listen to the tiny beating heart and enjoy this indescribable feeling to hear your baby’s heartbeat before you can feel your unborn child. 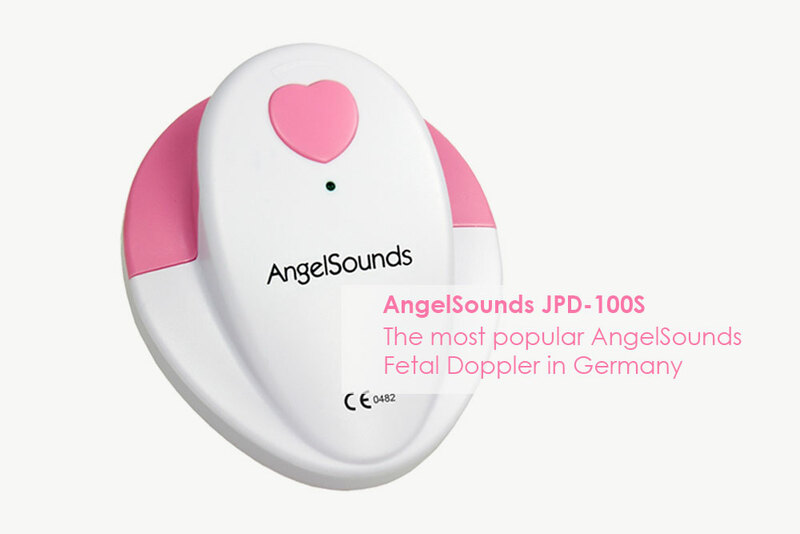 AngelSounds Fetal Doppler is a very special gift for every mother-to-be. Hearing the heartbeat is a wonderful experience and gives the future parents a lot of joy and happy moments. The heartbeat of the unborn child can be recorded as a beautiful memory of the baby’s first sounds. And you can listen to the recorded sound of the beating heart as often as you like. 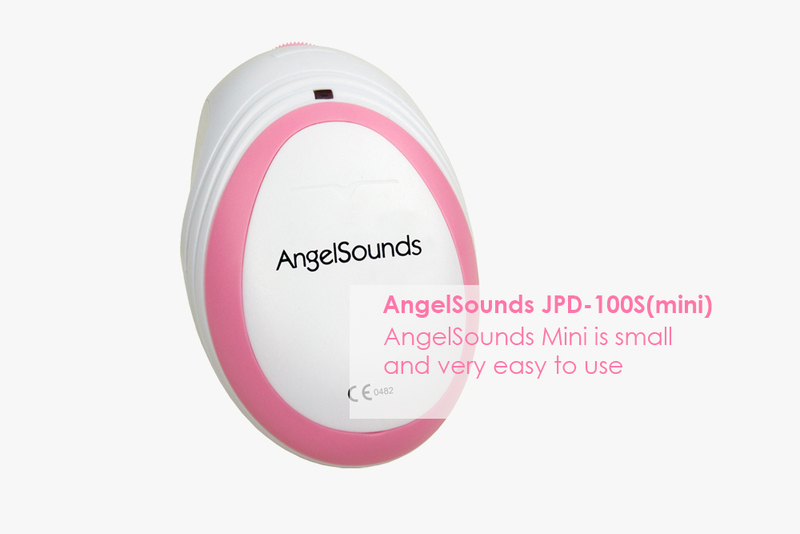 With AngelSounds Fetal Doppler, you do not only hear your baby’s heart, but also other sounds like hiccups and kicks. You can record these wonderful moments and replay them to your loved ones. Your family and friends will be delighted and you will have your baby’s first audible sounds captured forever. Tip: Record your own heartbeat and replay it to calm your baby after birth. The sound of your heart will calm your newborn immediately, because your heartbeat will be the most beautiful lullaby for your baby. You can also buy AngelSounds in your local pharmacy in Germany. You can record your baby’s first sounds and replay the heart sounds to your loved ones. AngelSounds can be used from the 12th week of pregnancy. Experience these special moments and unforgettable impressions together with your partner and your family.